Fuses are commonly used to protect automotive circuits from excessive current flow. If an electrical item on your vehicle stops working, the first thing to do is check the fuse. Fuses are designed to blow at an amperage below the point where damage occurs in the circuit. Engineers size fuses for about twice the normal current draw. For instance, if a device normally draws 10 amps, a fuse roughly 20 amps in size might protect it. The fuse burns out at 20 amps, which is below the current that might damage the circuit. 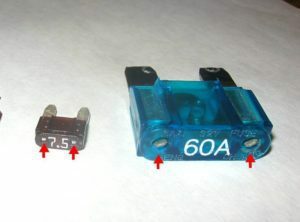 They show blade fuse amperage’s by the color of the fuse, and a number marked on the exposed face. Unfortunately, over time electrical systems and components can develop issues that cause fuses to blow. Your owner’s manual will tell you where your vehicle’s fuse panel is. Most models situate the fuse panel on the driver’s side of the dashboard and under the steering wheel, or in the engine compartment, but location varies from vehicle to vehicle. 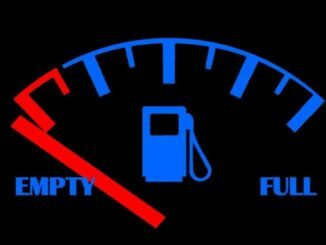 One of the first symptoms of an issue with a fuse is loss of power to one or more of the vehicle’s functions or accessories. 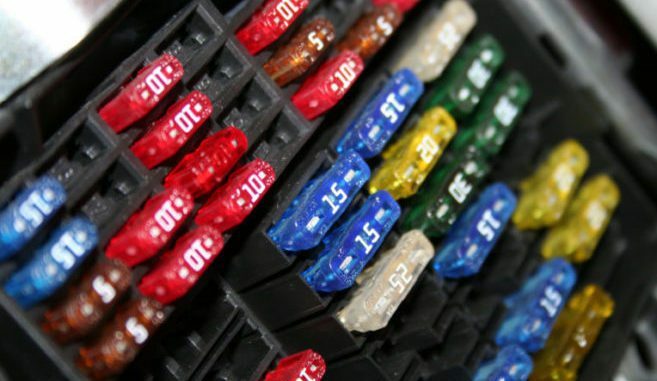 Fuses are installed in line of specific circuits in order to protect those circuits from potentially overloading. If those circuits do become overloaded, for any reason, the fuse will blow and cut off power to the circuit in order to protect it from the possibility of damage. If you notice that any of the vehicle’s functions or accessories, such as the radio, wipers, power windows or locks, etc, suddenly stop working it may be related to a fuse. You cannot always tell if a fuse is good by just looking at it. It may look fine but actually is blown with a hairline crack that is not visible. Testing the fuse with a multimeter tool is recommended in order to be sure. Pulling a fuse out of the box to check it has many disadvantages. Electrically testing the fuse will show if it is bad or good. Another problem with pulling fuses is, keep-alive power for the various modules on the vehicle may be lost. 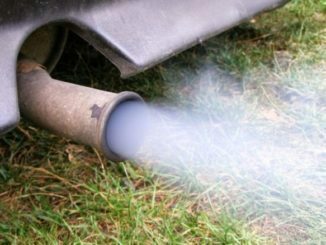 This results in poor idling, a loss of diagnostic information and sometimes accessories that do not work. The terminals in a fuse box are fragile, and you may damage them when twisting and pulling to remove them. This may cause a loose connection and a future problem. Using a multimeter to check fuses will be far more certain, quicker and will avoid these problems. If you don’t want to break electrical continuity to components a fuse handles by pulling it out, a fuse can be checked while still in place using a multimeter. 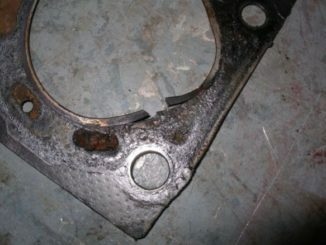 Remember the car’s metal frame is one side of its electrical circuit. 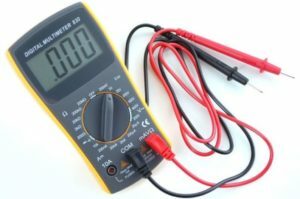 If you have a meter that must be set manually, set the meter’s “Function” switch to “DC Volts” and set the “Range” switch to a scale that will allow you to read 12-volts or the next level up. Locate the small holes on each end of the blade-type fuses; those holes give you access to the blades inside the fuse. Insert the pointed tip of the red test lead first in one hole and then in the other. If you read 12-volts to ground on one end but not the other, the fuse is blown. You should see a voltage reading in the 12-14 volts range. Readings on both sides of the fuse indicate it is working properly. If the fuse is good but the device controlled by the fuse does not function, then there is a problem somewhere downstream of the fuse. If neither side yields a reading, there is no current flowing into the fuse to begin with – indicating an electrical problem upstream of where the fuse is. Fuses blow from time to time, and there’s no need for concern if the problem does not reoccur. Also, If the fuse is blown, then it is pretty simple to replace it. You just have to buy another fuse that is the same and plug it in. And, If the fuse is not blown, then you will have to dig deeper into your electrical problems. So, Always start with testing the fuses first. It might just be that simple.